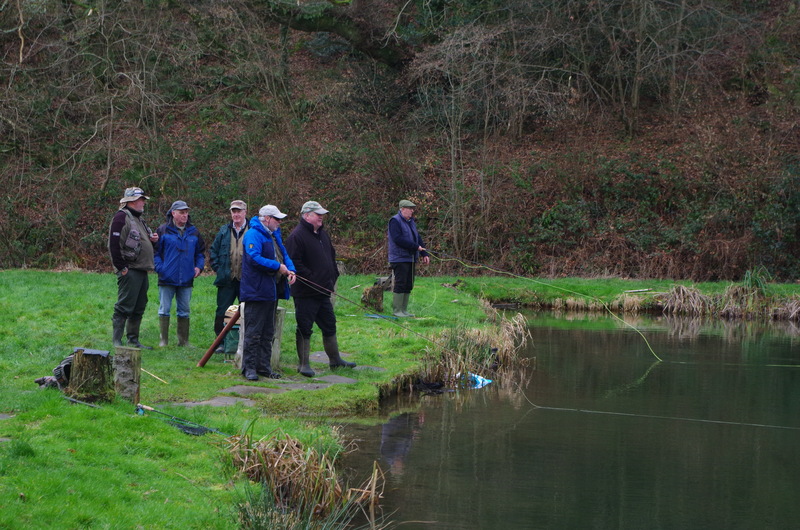 Wistlandpound Fly Fishing Club visited Bratton Water for the second leg of their Winter Challenge Series. 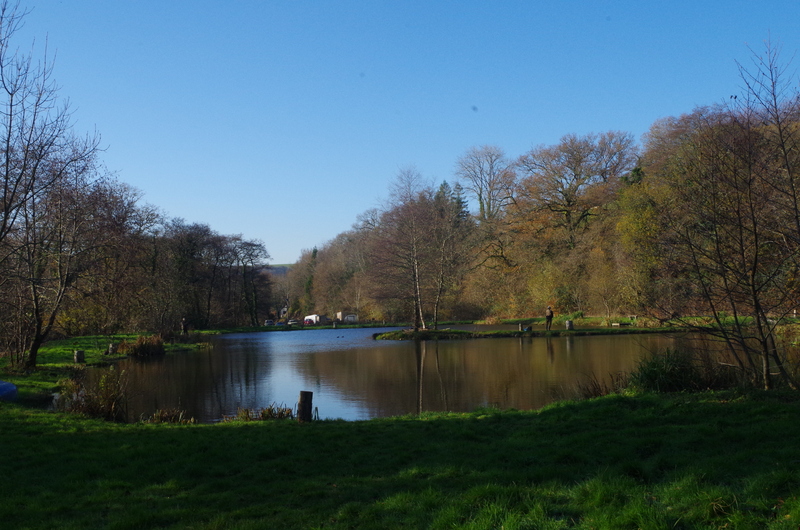 Members found the lake in fine form with a variety of flies tempting the hard fighting trout in the clear water. 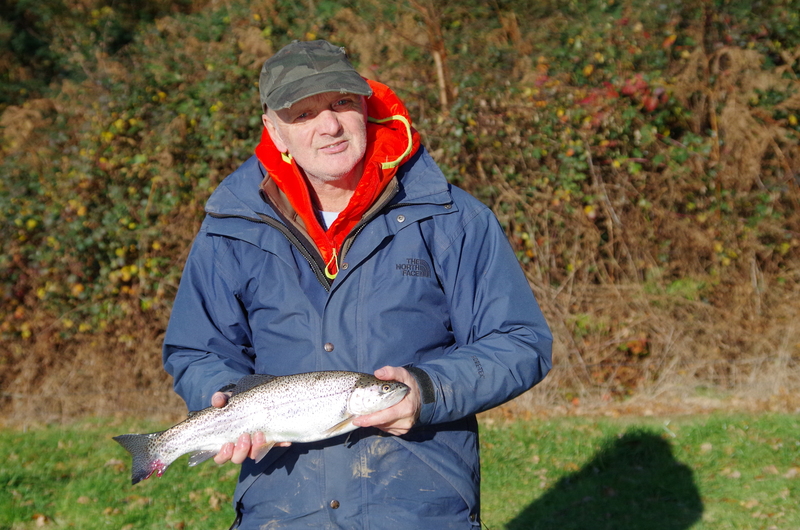 Club secretary Dave Richards won the competition with three fish for 8lb 2oz. 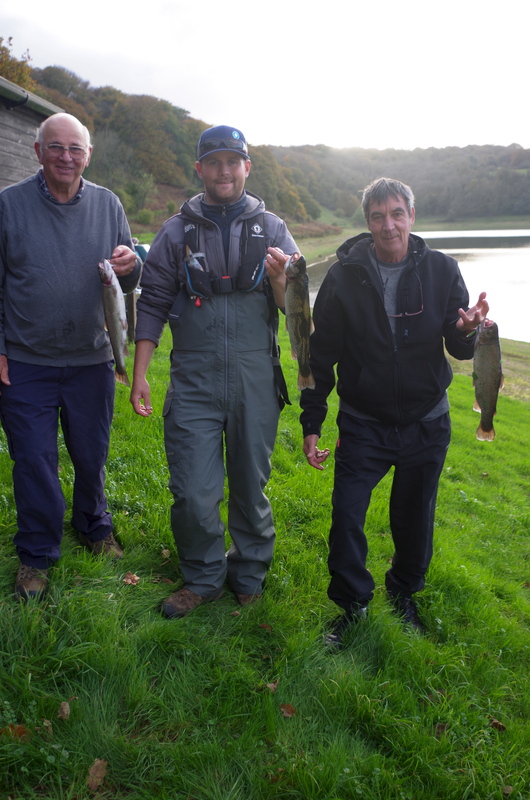 In runner up spot was Nigel Bird with three for 7lb 6oz with Paul Grisley and david Eldred equal third with three for 7lb 5oz. Andre Muxworthy three for 7lb 3oz, Colin Combes three for 7lb 2.5oz, Dave Mock three for 6lb 6oz and Wayne Thomas three for 5lb 7oz. 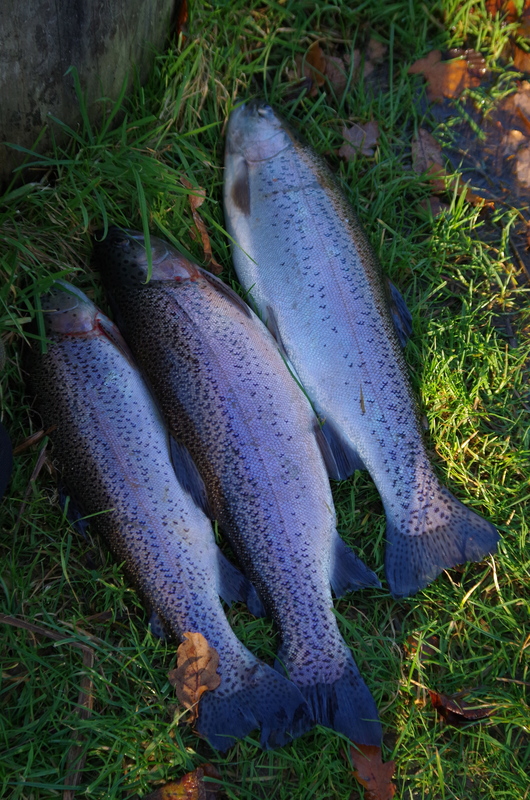 A typical catch of three hard fighting Bratton Water rainbows. 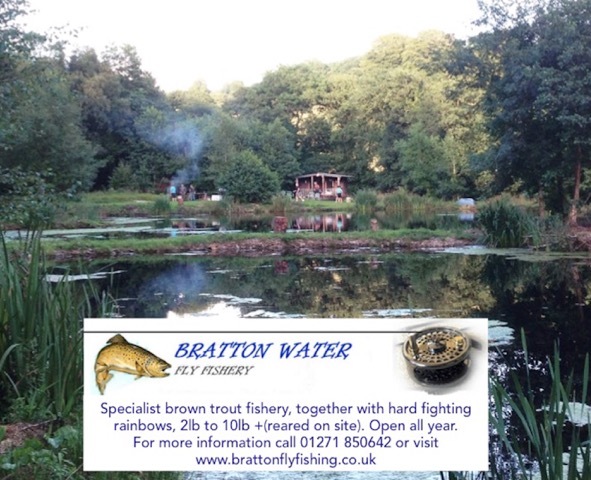 Whilst large flies and lures can work well at Bratton I personally prefer an approach with a little more finesse when fishing this picturesque water nestled in a peaceful Valley beside the Bratton Stream. 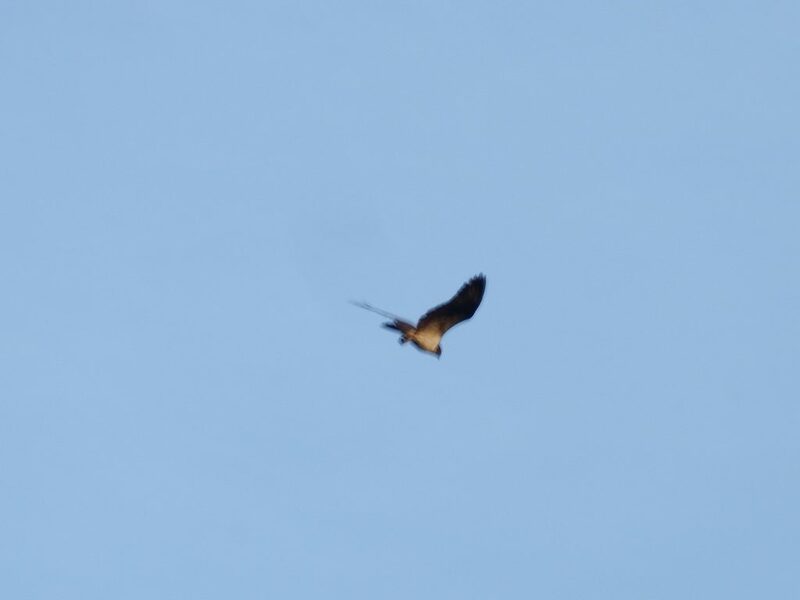 Arriving at the fishery I selected a small gold-head PTN for the point and a small black buzzer on the dropper. Casting out across the lake I allowed the fly to sink for a few seconds before beginning a slow retrieve just keeping the line tight as it drifts in the breeze. The tip of the line was studied carefully and after a couple of casts it was pleasing to set the hook with a quick draw on the line with the left hand. I caught my three fish bag within an hour of starting as did virtually all fellow members. It must be very difficult to get the stocking balance right on these small stillwaters. 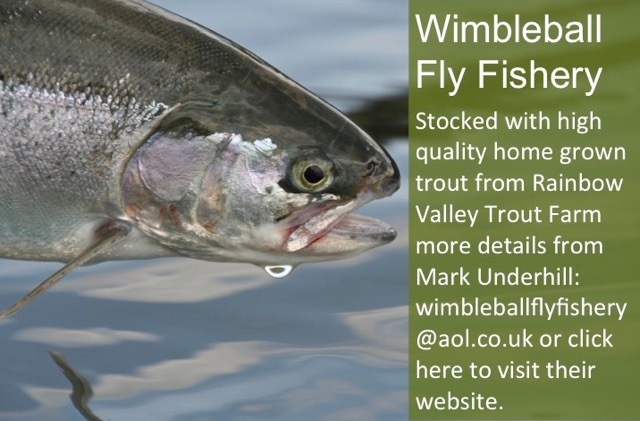 Anglers vary greatly in angling ability and the trout fluctuate greatly in their willingness to feed. 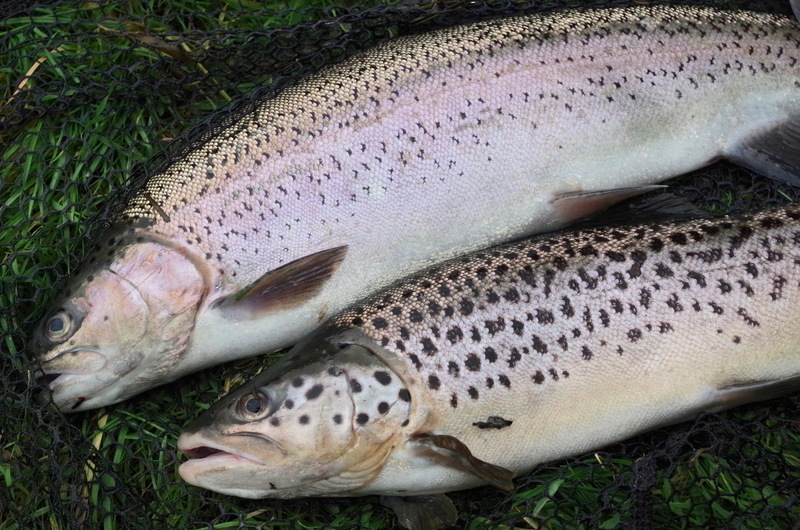 Combine the anglers ability, the vast variation in the British weather with the vagaries of the trout and you have a recipe that seldom suits all tastes. 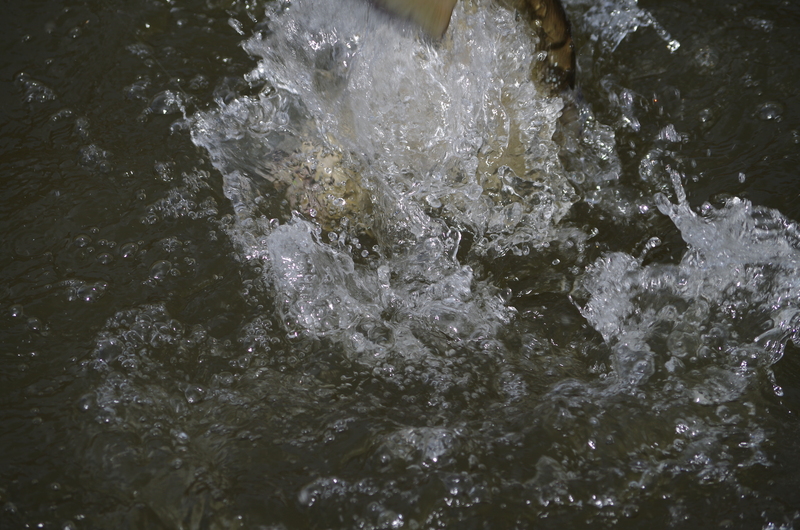 Too many fish and angler catches his fish too quickly, too few fish and anglers will grumble that they cannot catch. 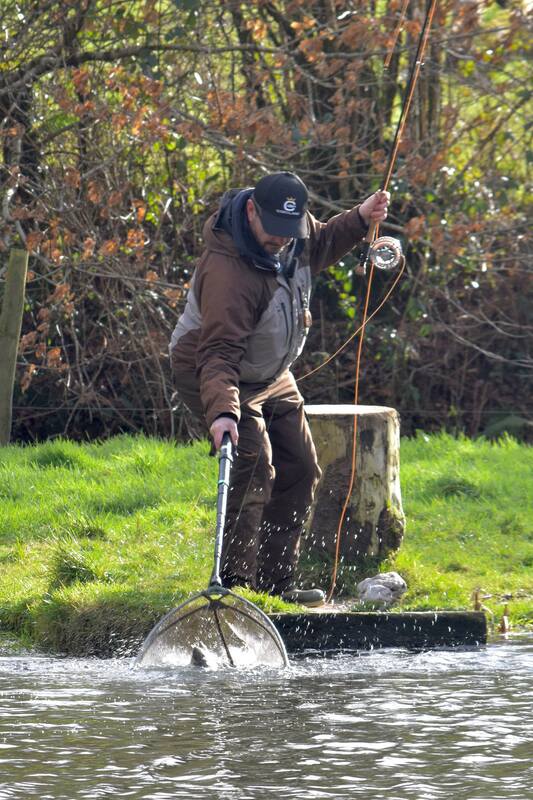 Generally Bratton Waters stocking policy is spot on as on its day it can offer challenging fishing yet very few days when anglers go home without a fish or five. 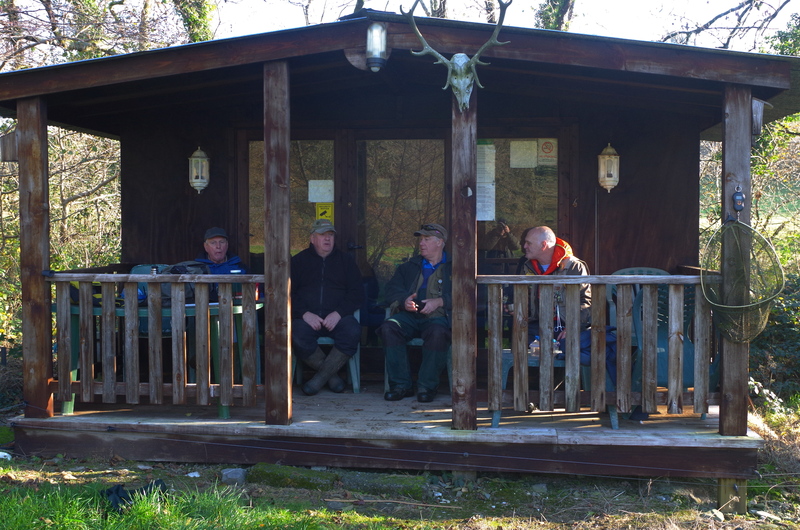 On a cool winters day Wistlandpound Club members enjoy the social aspect of a day by the water. 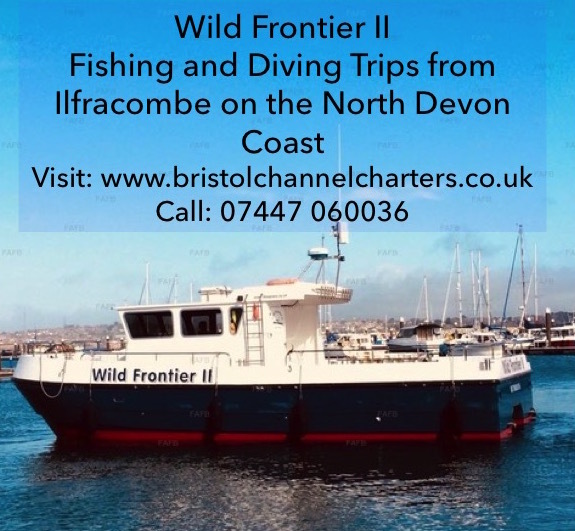 Chatting about fish and life is a big part of the club angling scene and small still-water’s like Bratton are perfect for a Winter morning with members returning to families and home life after a bit of fresh air with a bag full of trout each for tomorrow nights tea. 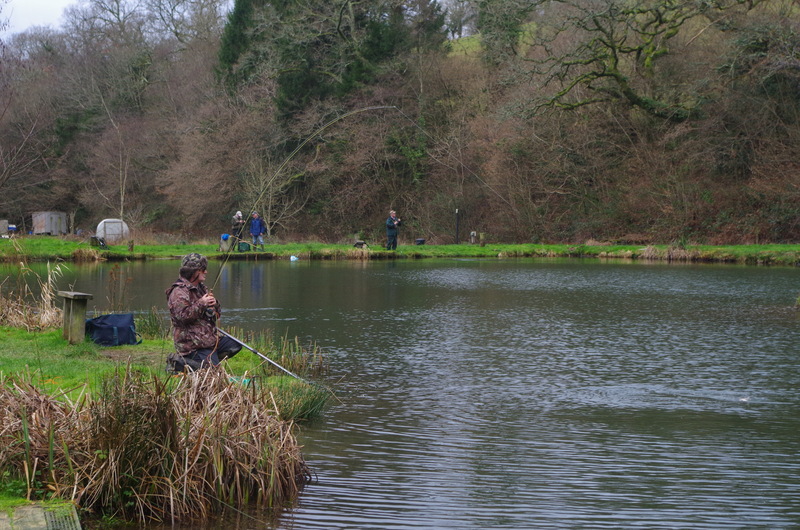 Wistlandpound Fly Fishing Club held the first heat of their Winter Challenge series at Bratton Water where all members secured three fish bags by mid morning. The winning bag of three browns fell to myself (Wayne Thomas) and totalled 9lb 14oz. In runner up spot was Colin Combe with 9lb 12oz and in third Andre Muxworthy with 8lb 12oz. Bratton Water is nestled in a wooded valley protected from most winds which is always good especially when a bitter East wind is blowing as it was on the day of our visit. With a bright blue sky I wondered if we would struggle to catch but these fears were unfounded as the trout responded well to a variety of tactics. I chose to fish a light rod combined with a floating line and long 6lb b.s leader with a small gold-head PTN on the tip and small diawl-bach on a dropper. 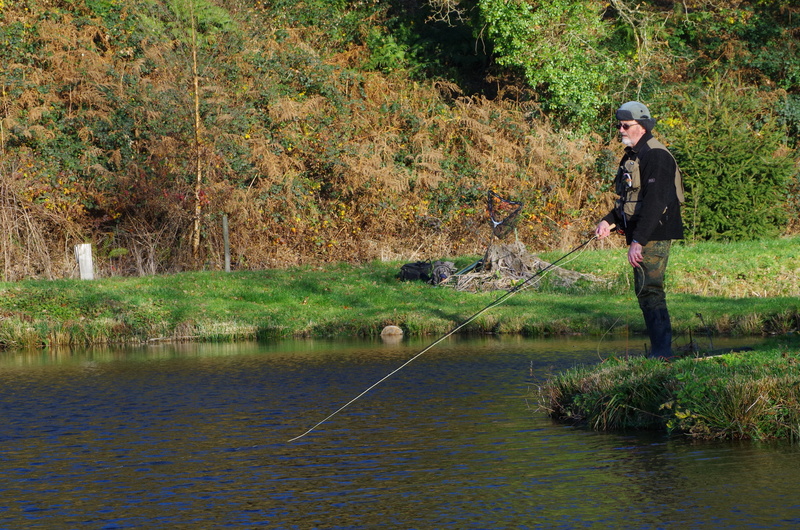 Casting a long line and allowing the fly to sink before commencing a very slow erratic retrieve. The choice of tactics was more to do with how I wanted to fish as opposed to what I thought would catch most. Other members succeeded using small lures fished on intermediate lines with speedier retrieves. 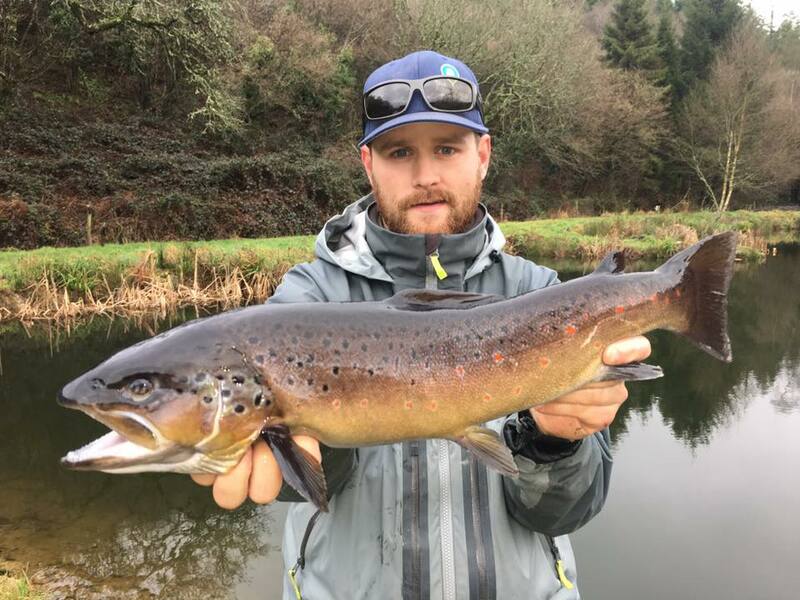 (Above) Jamie Walden is the resident fishing coach at Bratton Water and put his angling skills to good use during a session at the venue banking five superb brown trout the best this stunning specimen of 10lb. All the trout were tempted using a small black bead headed hares ear nymph. 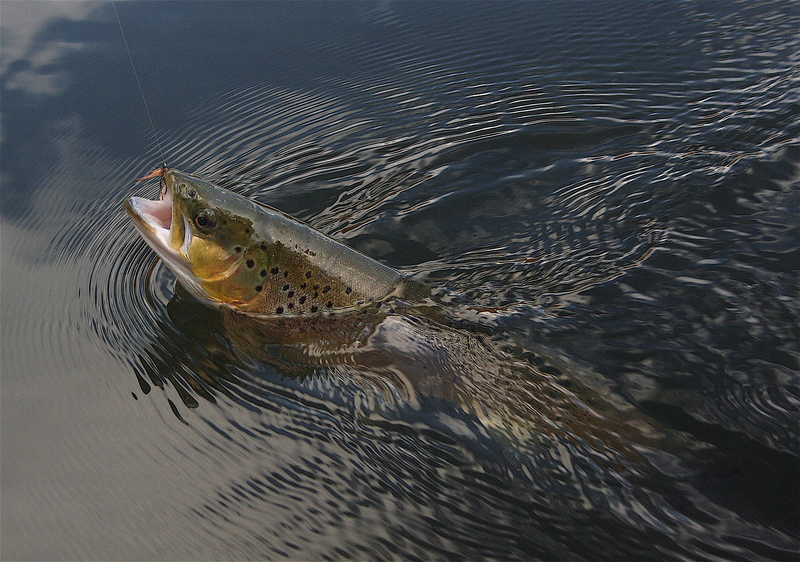 The specimen brown is believed to be a wild trout that has grown on feeding on the rich food present in the lake that boasts crystal clear water where small imitative patterns often work well for brown trout. 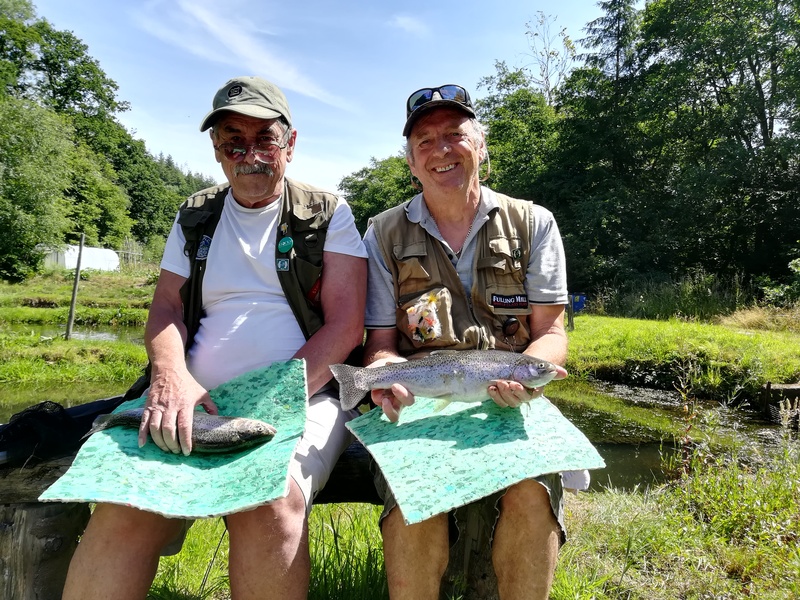 Jamie gave tuition to a group of four first time trout anglers during the weekend and guided them to success in hot sunny condition with the novices landing nine trout between them. 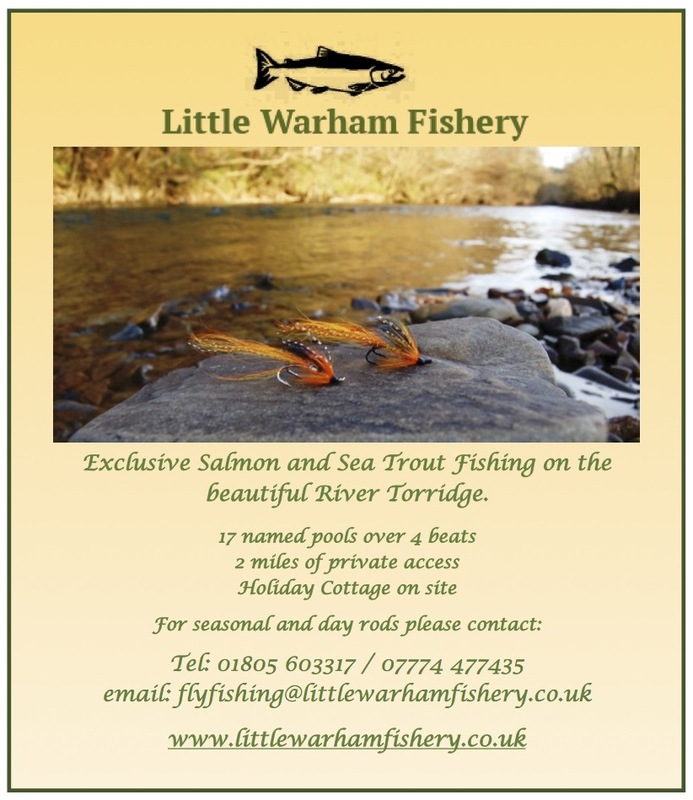 Jamie offer fly fishing tuition at Bratton Water and at Little Warham Fishery he can be contacted on 01837682870. Dennis Toleman won Triple Hook Clubs latest Fly Fishing Match at Bratton Water with a four fish bag of rainbows totaling 9lb 8oz. 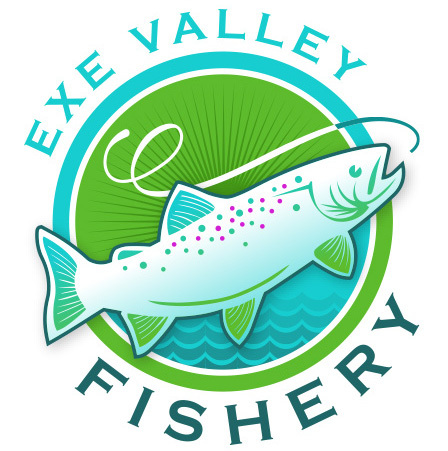 John Vaughan was runner up with four fish for 8lb 7oz and Robbie Hancock third with four for 7lb 4oz. John fished just off the bottom with orange booby whilst Dennis fished a little black Montana and a little orange blob. Rob fished a black and yellow lure. 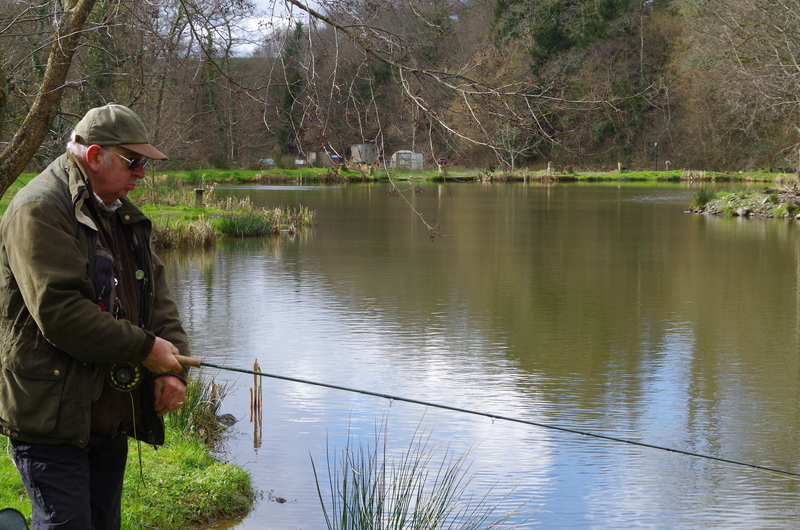 Bratton Water has a well deserved reputation for its quality brown trout fishing with fish to double figures banked in recent seasons. 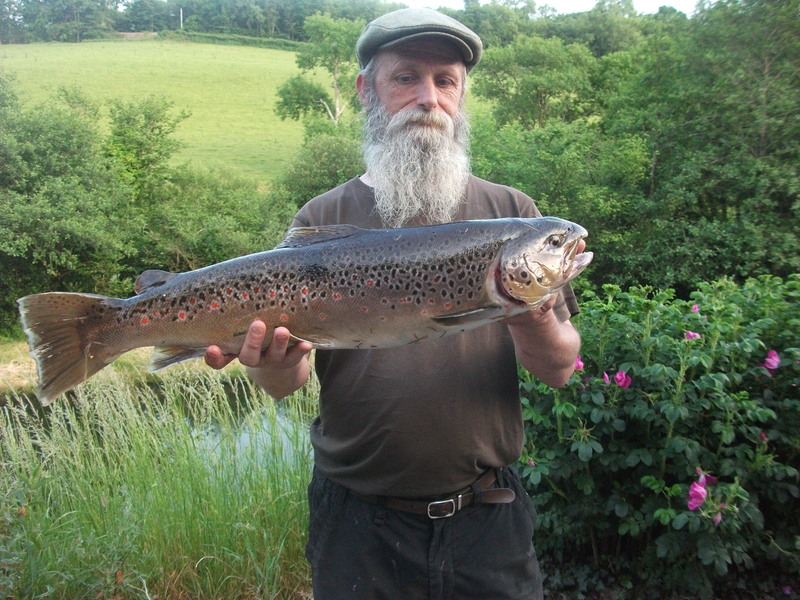 The best in recent weeks has a been a fine brown of 5lb 2oz to the rod of T.Evans of Barnstaple. 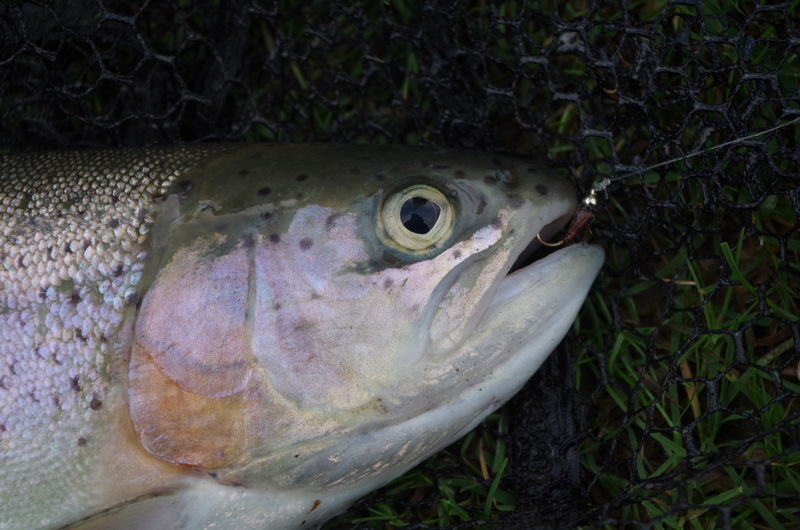 The brown trout are however often hard to tempt and the hordes of small rudd often intercept the small imitative patterns before the browns get there. 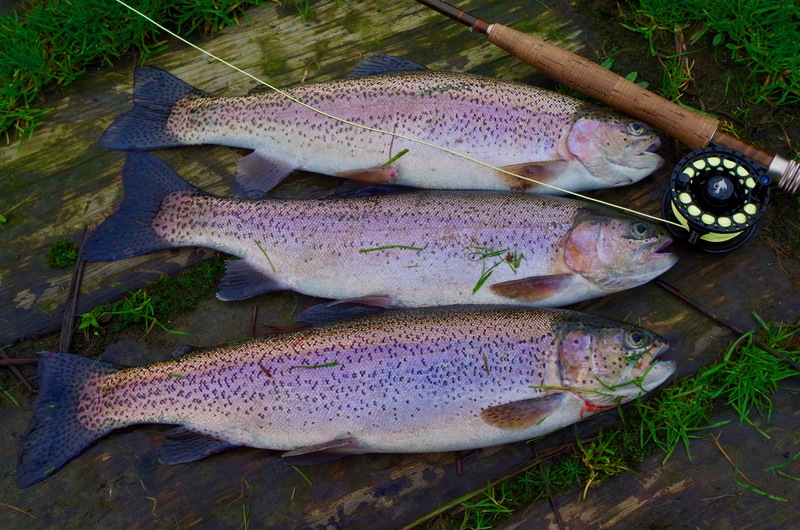 Mike has recently stocked a few rainbows that are being caught on a variety of patterns. The more aggressive rainbows are also feeding on the rudd fry in the margins giving an opportunity for the angler to stalk these fish. 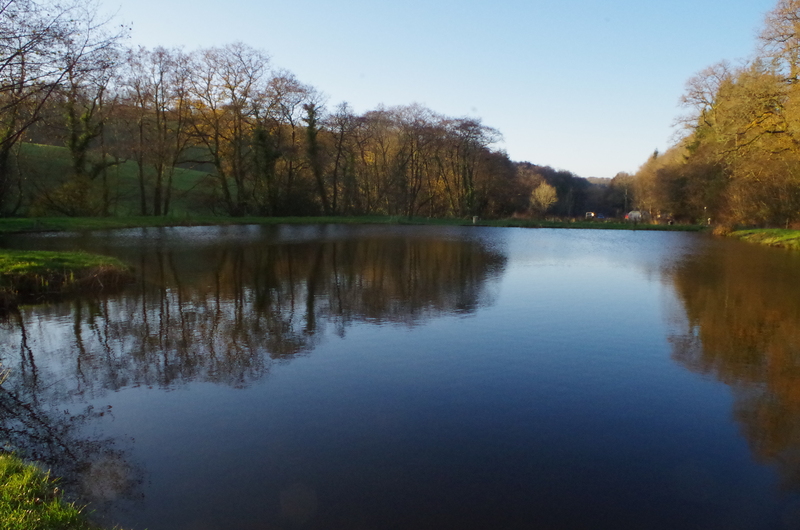 Mike informs me that the fishery is presently weed free despite the warm weather. The rudd whilst a nuisance at times will in the longer term lead to some big brown trout as they wax fat on the abundant food supply. 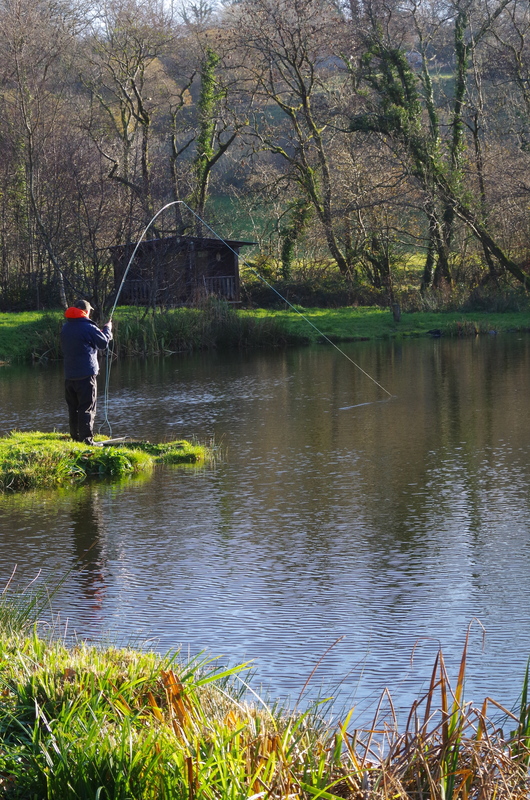 I joined members of Wistlandpound Fly Fishing Club at Bratton Water Fly Fishery on February 11th and enjoyed excellent sport with the venues hard fighting brown trout. it was a day of sunshine and hail showers with the occasional rainbow decorating the sky. 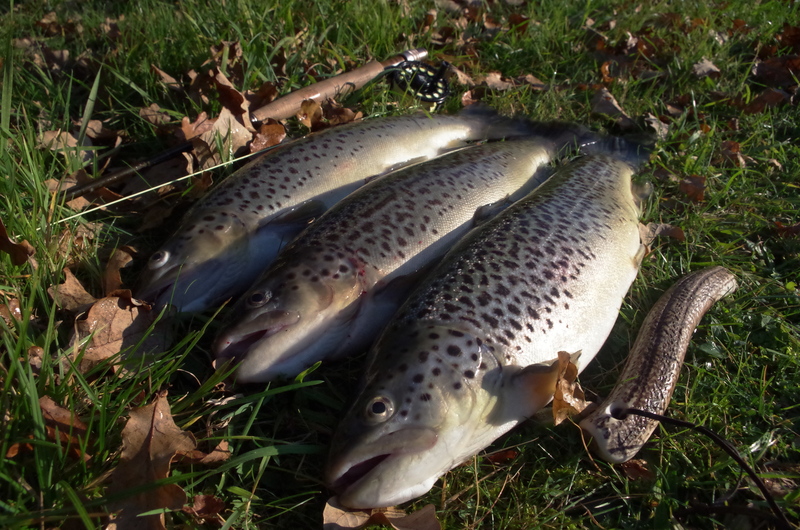 The day started slowly for me three trout coming unstuck in the first hour. 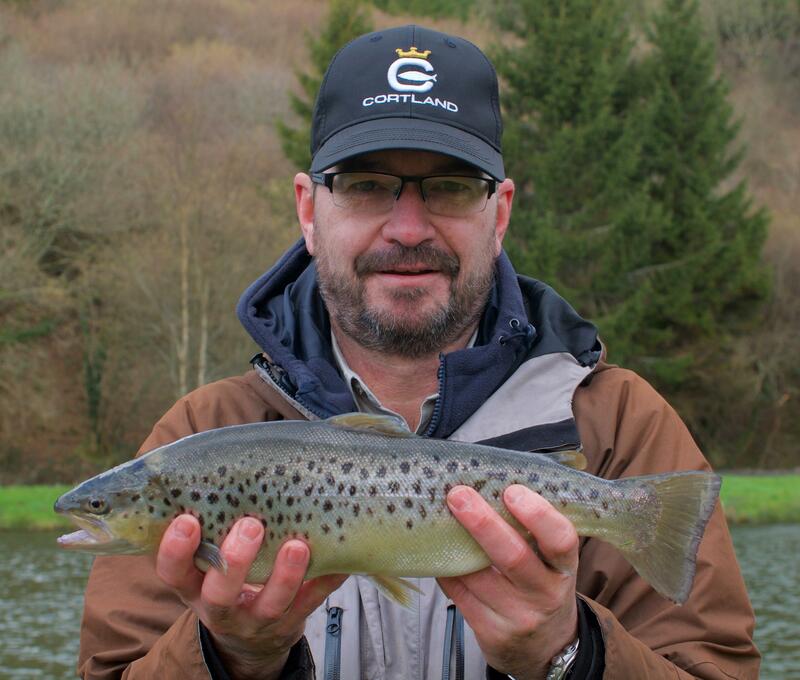 Paul Grisley fishing a few yards away showed the way and landed what was to be the biggest fish a of the day a stunning brown trout of 5lb 1oz in a total bag of 11lb 4oz. The water at Bratton is generally crystal clear but heavy rain the previous day had coloured the water so it was likely that the normal small imitative flies would not work well. For this reason I persevered with black bodied lures with long marabou tails that fluttered enticingly in the water. After a couple of moves around the lake I eventually found fish in the the top corner of the lake and converted several takes into a four fish bag in half an hour of exciting fishing. After bagging up I enjoyed hot coffee from my flask and chatted to fellow club members who were also enjoying some great sport with Bratton’s brown trout. All in all an enjoyable few hours at this picturesque fishery that is sheltered from most winds. Fishery Owner Mike Williams told told me that improvement work is planned on the access road over the coming weeks. 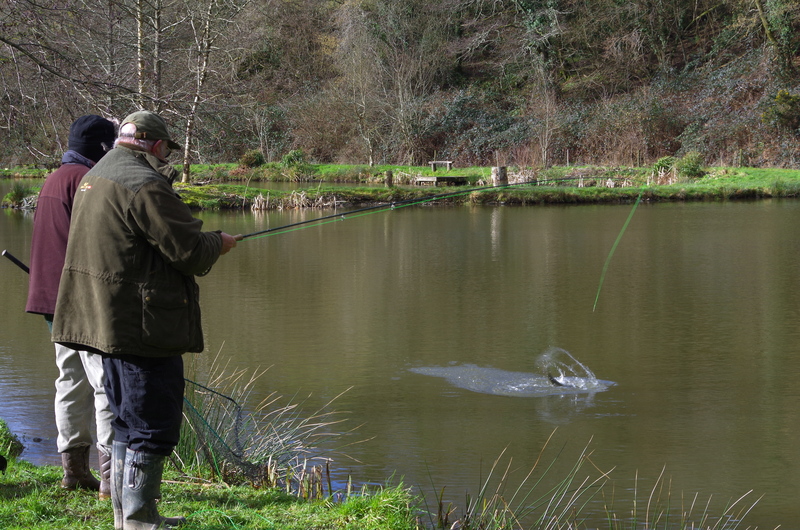 Bratton Water has been no pushover, but fishing quite consistently in the cold and wet recent weather. 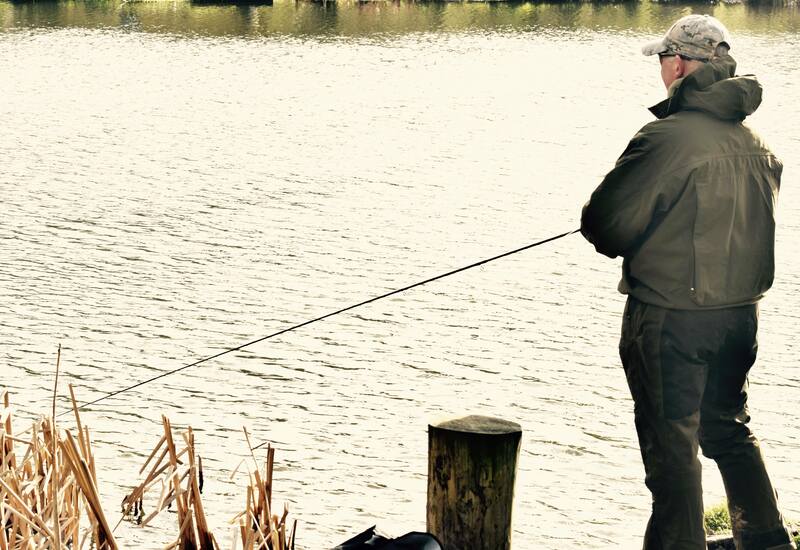 Simon Jefferies, Dom Garnett and Gary Pearson enjoyed a good session using a mixture of flies on the lake. Buzzer fishing proved slow, but the fish were more responsive to lures. The best patterns were smallish and dark, including a Black Woolly Bugger or Crazy Legs, fished on a floating line but allowed to sink for several seconds and then retrieved with a picky figure of eight retrieve. Tail nips were common at times too, leading to the trio scaling down a little or even trimming back longer tails! All the fish were in consistently good condition, with sizes up to nearly three pounds, all but one browns as opposed to rainbows. The fish tended to follow the wind, collecting where the breeze blew; not the easiest for casting at times, but worth the effort of moving spots and putting up with stray gusts! 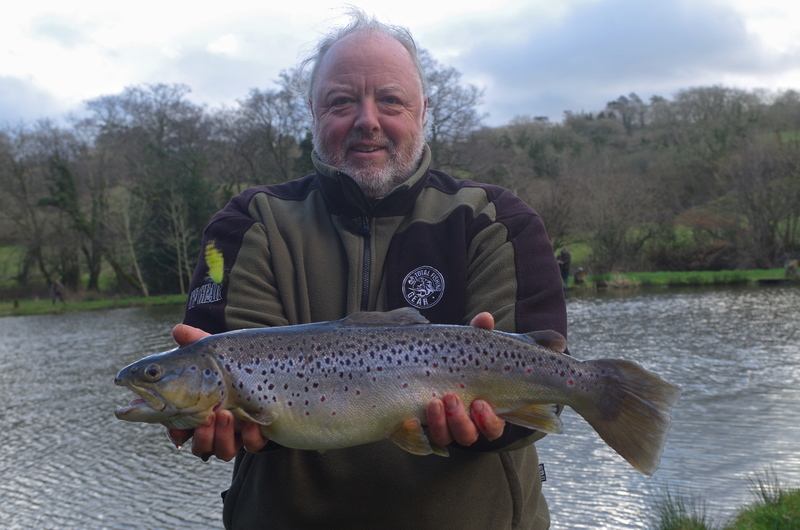 Keith Bullard from Braunton fished Bratton Water and tempted a fine brown trout of 10lb 3oz using a small buzzer pattern. 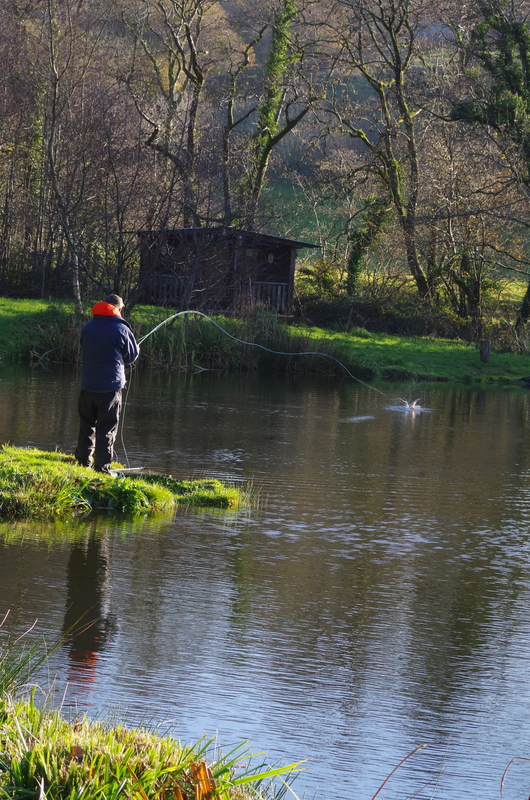 This picturesque still-water trout fishery offers some fine winter trout sport with hard fighting brown trout that can often be stalked in the clear waters. 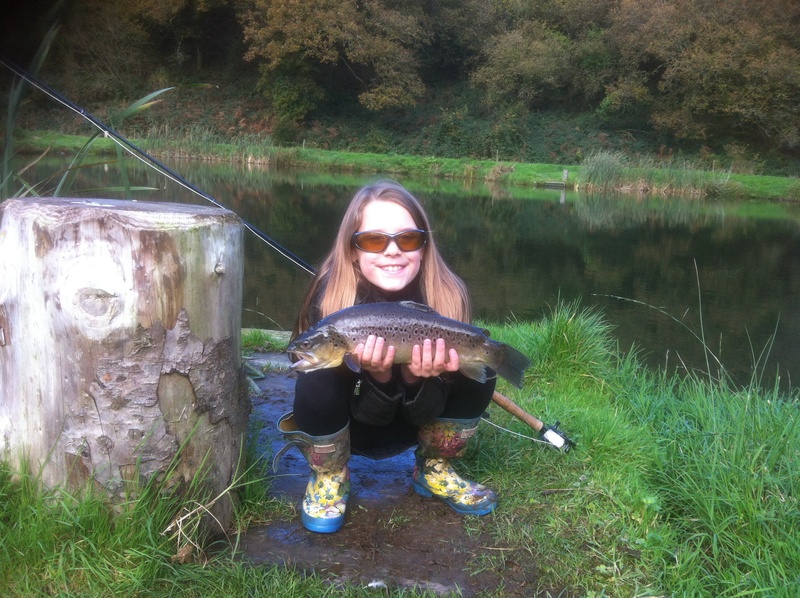 Lottie Ava Kinnear aged 8 caught her first brown trout on a cats whiskers lure from Bratton Water. Her parents say that she really enjoyed herself and can’t wait to go again. 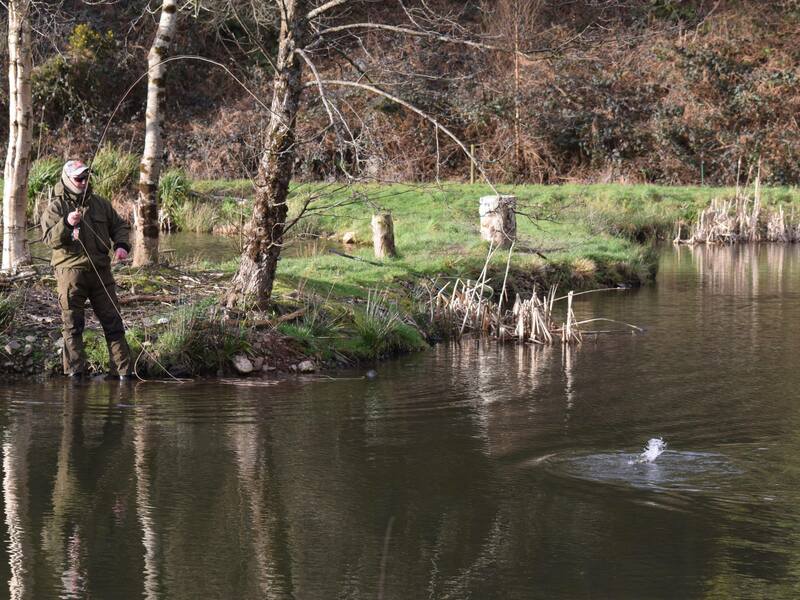 Bratton Water will start to fish well now as the cooler waters of late autumn and winter arrive. 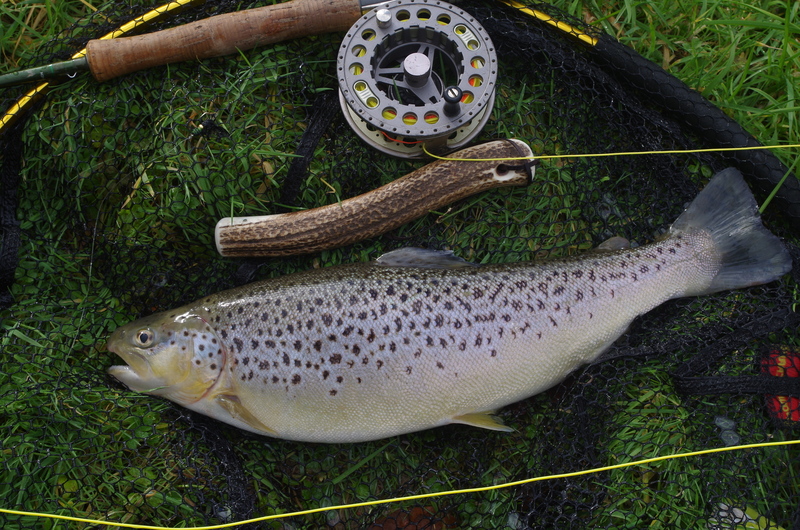 Last winter saw some stunning brown trout caught from the fishery with several over 5lb. 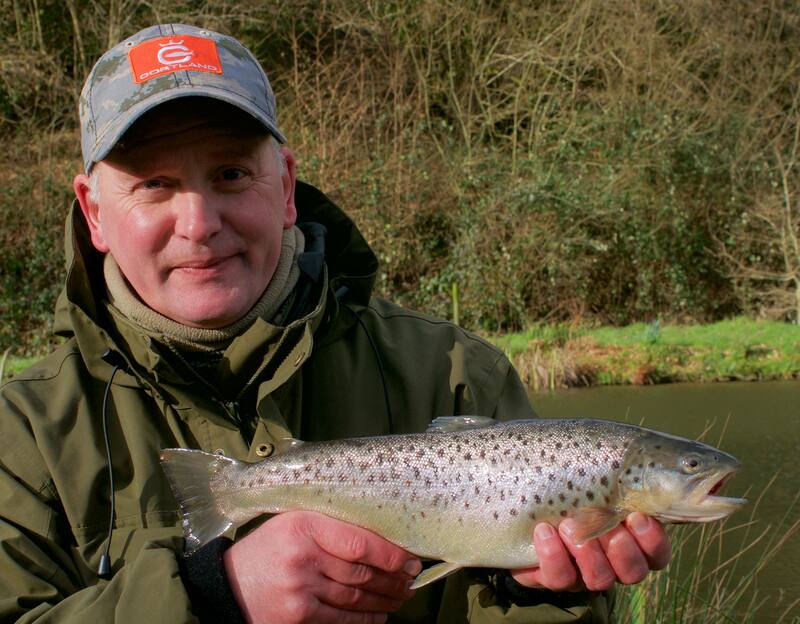 (Below) Danny Ford with one of last winters stunning brown trout caught at Bratton Water. 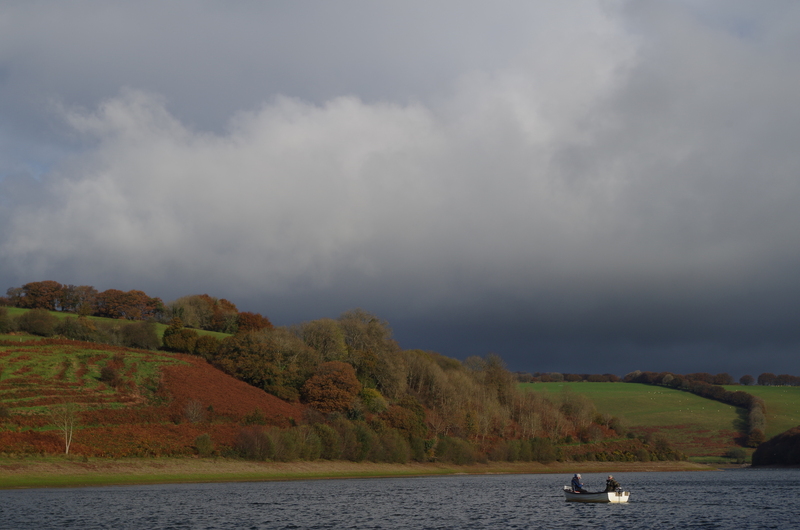 Wistlandpound Fly Fishing Club fished the last day of the season at Wessex Water’s Clatworthy Reservoir where the rainbow trout that the fishery is renowned for played hard to get. 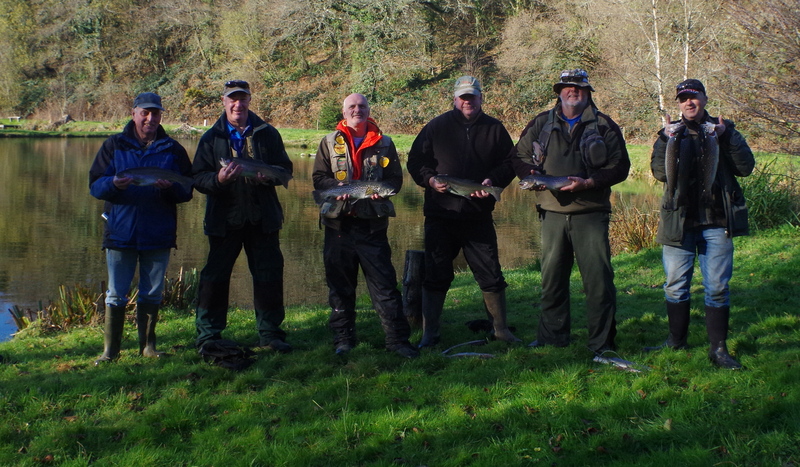 Only three of the ten members taking part in the event fishing for the Secretary’s Shield managed to land trout. 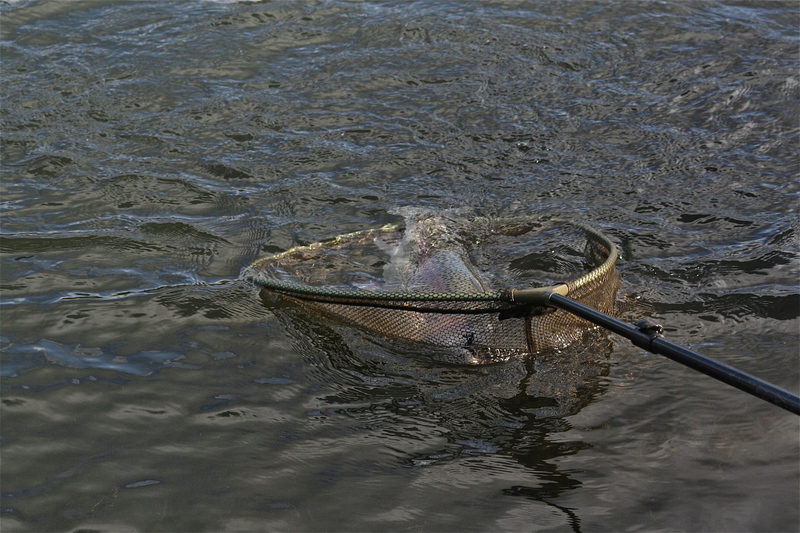 This was despite the lake being well stocked with good numbers of trout that were times visible in the clear water. 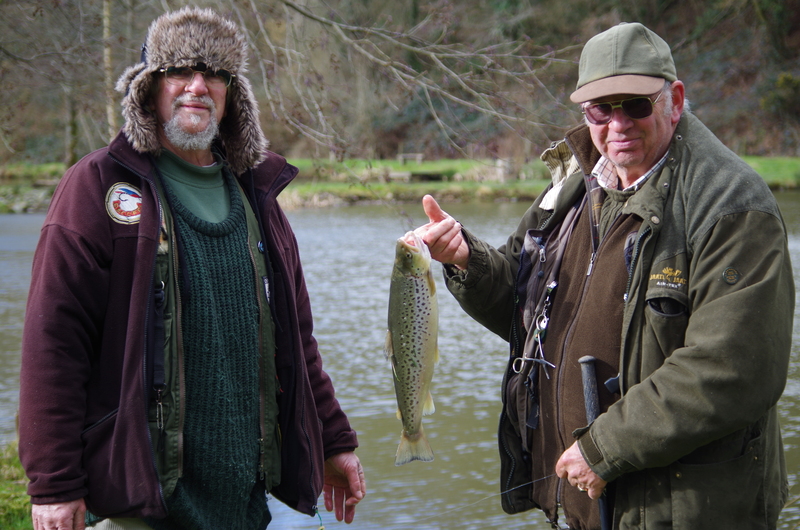 David Rudman was the winner with a rainbow trout scaling 1lb 151/2oz. Dave Mock and Danny Ford tied in runner up spot both landing rainbows of 1lb 15oz. (Below) The three successful anglers. 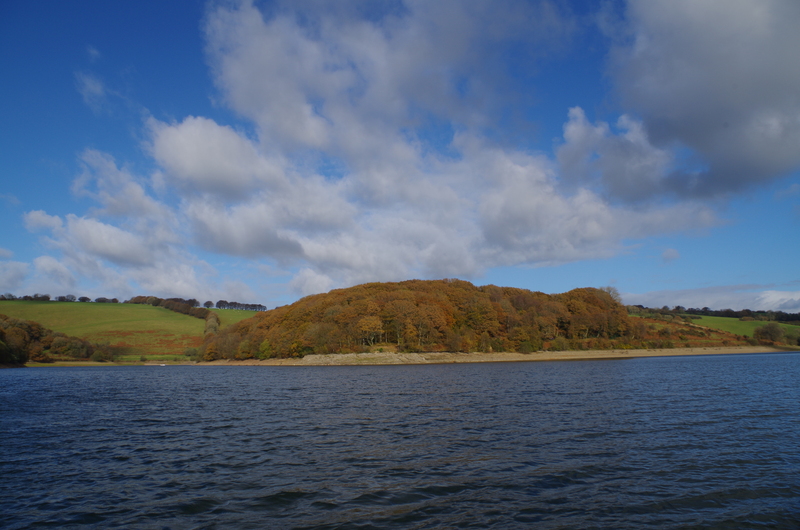 Despite the lack of fish members enjoyed a day in beautiful countryside with trees surrounding the reservoir in splendid autumn colours. 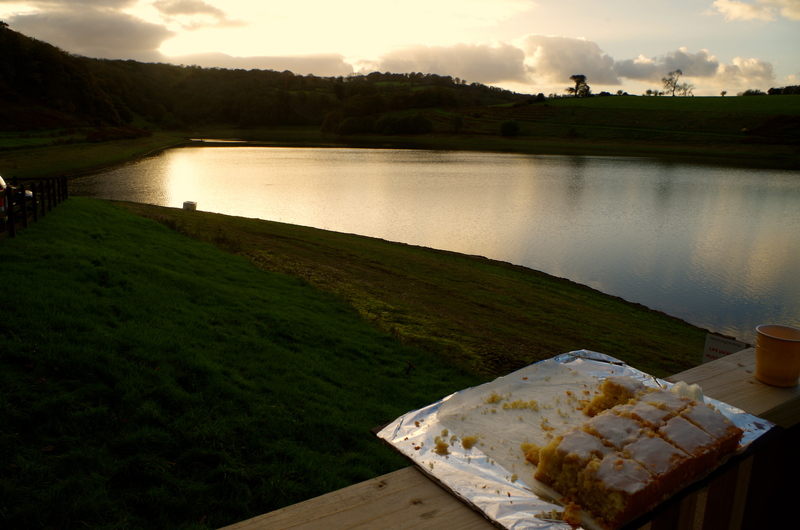 As members gathered at the Fishing Lodge reflecting upon the past season they were treated to a delicious offering of Lemon Drizzle Cake from the local Clatworthy Fly Fishing Club. 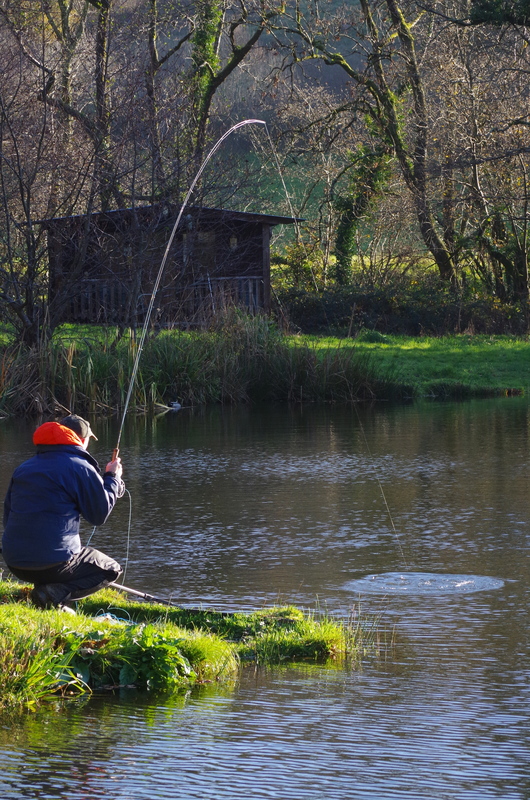 We all hope be to back at Clatworthy in the spring when it generally offers superb sport with some of the West Country’s hardest fighting rainbow trout. 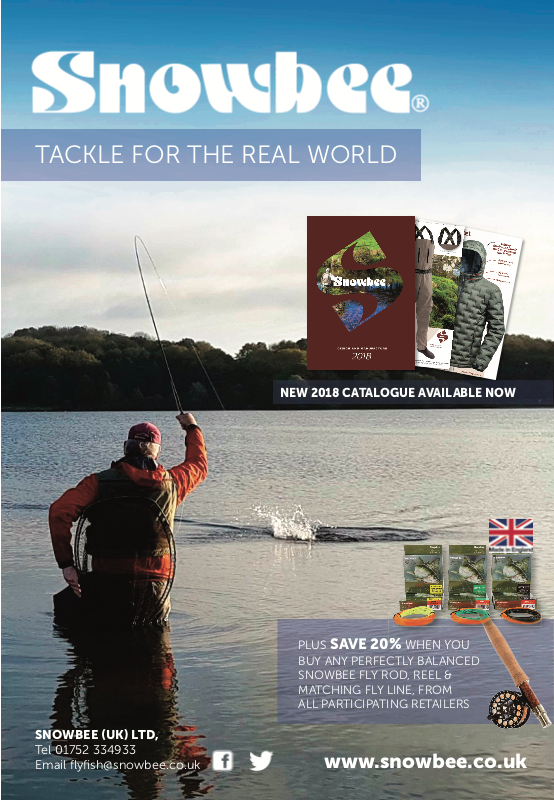 With the reservoir trout fishing season at an end it is time to turn to the small still waters where sport is at its best through the colder months. 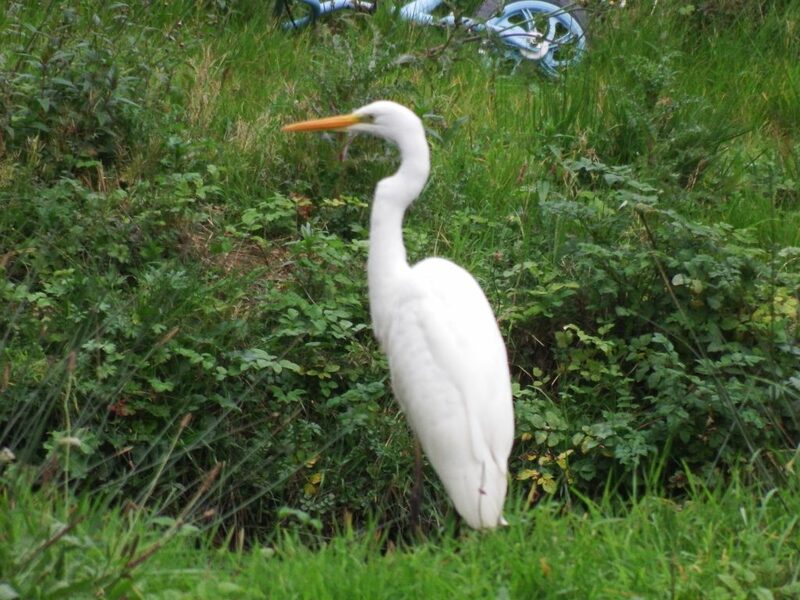 One of the joys of fishing is the wildlife we see whilst at the waters edge and at Bratton Water there have been some exciting sightings in recent weeks with owner Mike Williams sending me these images he managed to capture of an osprey and a great white egret! 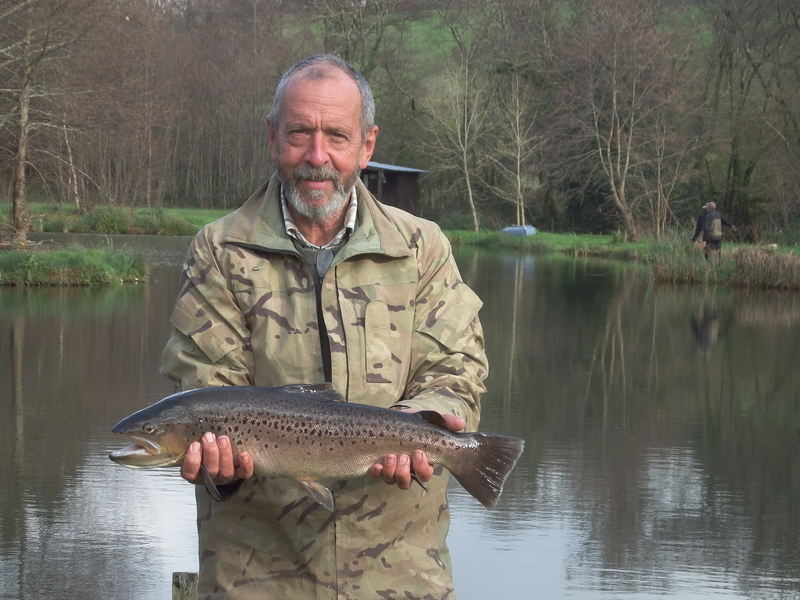 Mike tells me the fishing has been excellent recently with some stunning brown trout tempted by visiting anglers. Dry fly and small buzzer nymph patterns always tend to work best at this picturesque water. 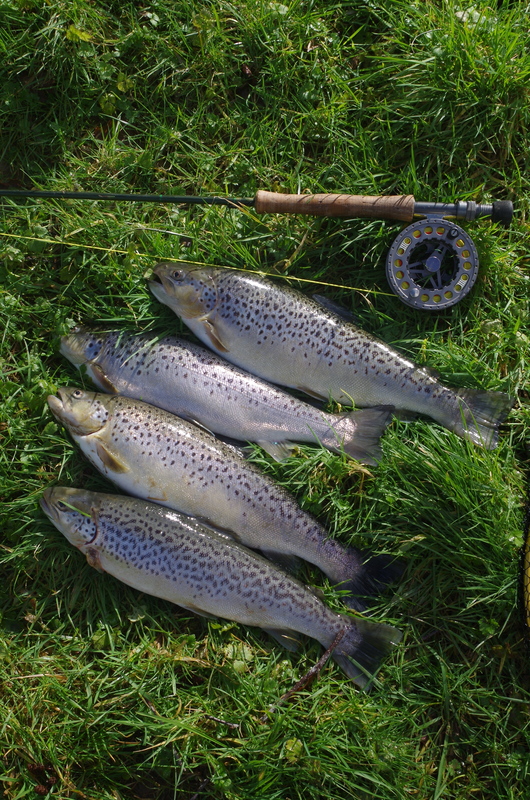 The fishery is renowned for the superb quality of its brown trout that have been caught to double figures. 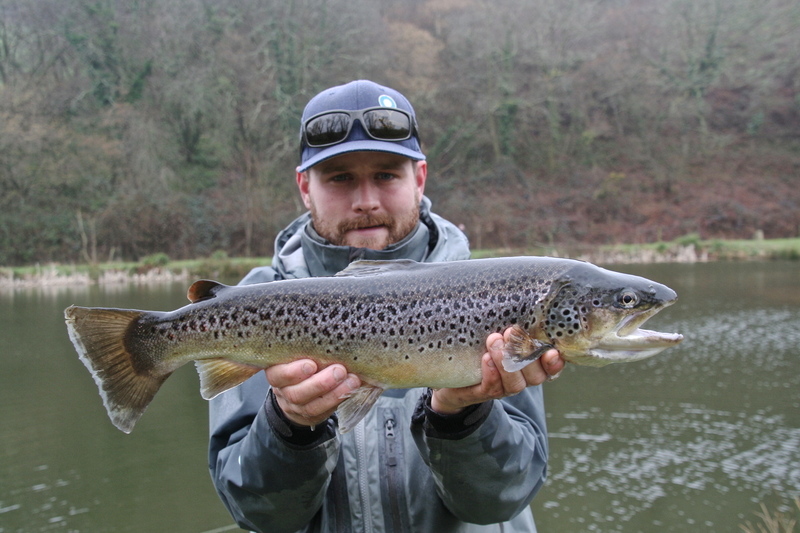 A stunning brown landed earlier this spring by Danny Ford.